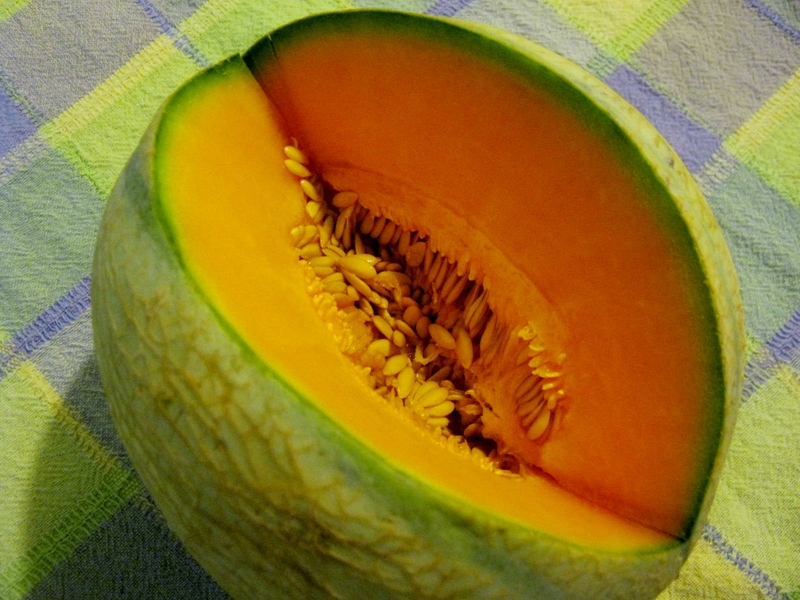 Cantaloupes are not a new type of produce for me, they have been a staple on my table for as long as I can remember, but The Charentais Melon is a new taste experience. The melon I recently bought might have been a tad under-ripe, but the flavor was wonderful. The color of the flesh was tantalizing, a deeper apricot color than the cantaloupes I often buy at this time of year. 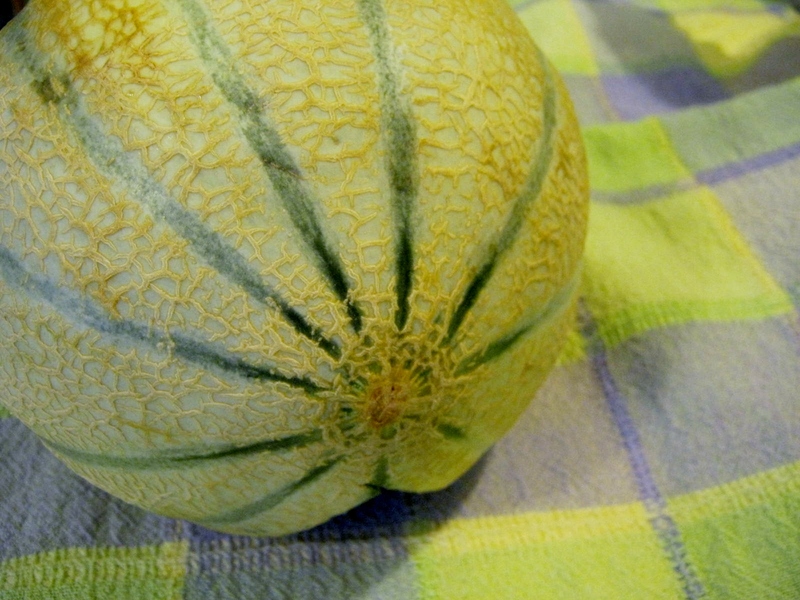 I really admire the appearance of this cantaloupe, and enjoyed cutting slices using the green stripes as a guide. Would I buy this cantaloupe variety again? You betcha’. That’s the kind I like…so much flavor…Now, you have me wanting some! I had some company last night for dinner and chickenfoot dominoes…we enjoyed a lot of fresh fruit…nice to have some good variety again. My favorite fruit stand opened last weekend, oh what JOY. what in thwe world is chickenfoot dominoes??? my Seniors at the YMCA have just been getting into playing dominos… when we get the basics down…might move up to this…They would love the name! You could perhaps plant the seeds and grow your own. I love fresh fruit. The best time of year for variety seems to be Summer, here in Australia. Canteloupes can be wonderful or very disappointing here. I have never eaten them on a regular basis because they are so hit and miss. They certainly are yummy when they are good though! You are so right…hit or miss is a perfect description. Cantaloupes are rather expensive where I live. Glad you enjoyed your fruit. They are low here, but in winter you never know if they are going to have a good taste. In the summer, they are pretty reliable as a good fruit.